Everything in our hotel is available for guest use. Swim in our pool at any hour. Use the kitchen in your apartment or use our community kitchen and dine in our comedor at a table that accommodates twelve guests. We eschew rules and regulations so that you can more easily free yourself from the usual constraints and prohibitions. Indeed, were there an “authority figure” on premises, we would encourage you to “DISOBEY.” All this in an effort to enable you to exhale and fully participate in our slightly skewed but decidedly benevolent reality. We offer you a tranquil and beautiful environment in which to revel in the joy and luxury of inactivity. 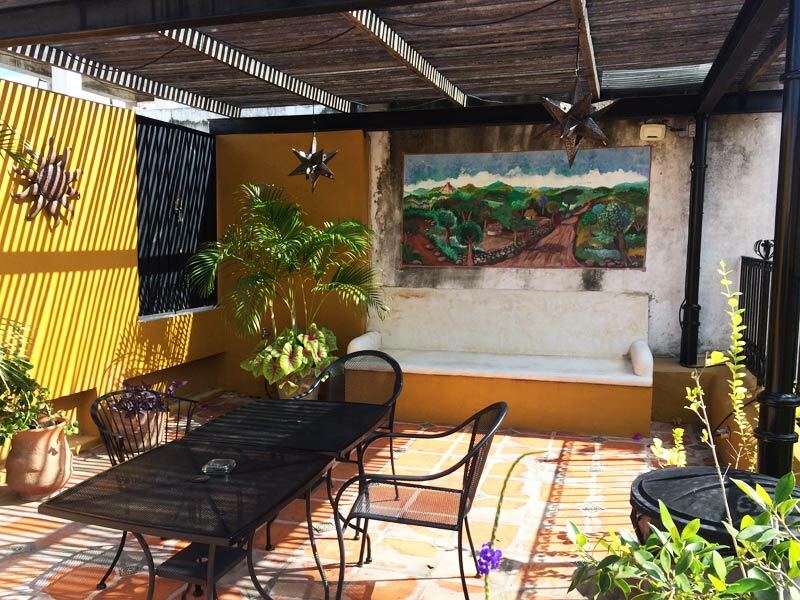 Hotel Luz En Yucatan is housed in a Colonial edifice, built in, on and around what was once the convent to the neighboring Church of Santa Lucia. (Indeed, word has it that beneath a hollow floor in a room by our pool there exists a tunnel that connects the two.) The sense of a cloistered and peaceful space remains. An aura of calm is palpable. 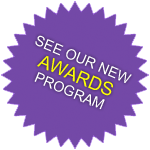 This award was created to honor it’s first recipient, Dr. Joel S., of Piscataway, New Jersey. Sadly, during his stay with us, a ceiling fan cut loose and fell upon his head. We felt compelled to honor this gentleman. At the awards ceremony, the good, and, we must say, remarkably forgiving doctor noted that, for years, he had been having a recurring dream wherein a ceiling fan fell upon his head. *****Probably pointless to sue us. Rather, we suggest you pick yourself up and get on with your life. We do believe that the winner of last week’s award would give his remaining leg to do just that! We have had a number of guests who have tried to jump on the coattails of previous award winners, hoping to claim this award by falling down the selfsame staircase alluded to above. 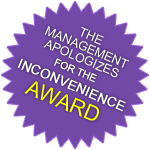 Consequently, we have determined that this particular happening will no longer qualify a guest for our award. A new mishap will have had to occur, e.g. falling over someone who is lying face down in our courtyard, subsequent to having has just fallen down THAT staircase. Thank you. Should you opt for activity, we have many options. We can arrange tours and transportation to one of the new seven world wonders, Chichen Itza. Or visit the beautiful ruins at Uxmal. Wander the local beaches or swim in one of the many fresh water cenotes. Marvel at the thousands of pink flamingos near the town of Celestun. Hotel Luz En Yucatan is a unique residence in Merida, in the Yucatan, in Mexico, and we dare say, in the whole world. We believe we offer unparalleled hospitality, location and value. Come experience the Luz!